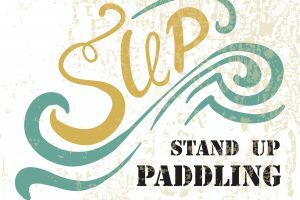 Are you one of those who wants to try stand up paddling for the first time? Whether you’re a beginner, average, or expert, there is a specific board that fits your skills and needs. However, buying the right stand up paddle board is a trick and transporting them is not that easy. To help you solve these dilemmas, read the guide below. 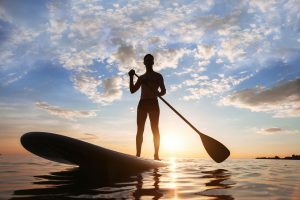 All-around paddle boards have the most basic shape. They are flat and wide and are ideal for beginners since they offer the most stability. These shapes are suited for all types of conditions. Surf paddle boards are the oversized versions of surfboards. They are easy to control in waves but they are difficult to stabilize in flat water. These boards are not suited for beginners, but for intermediate and advanced paddlers. Touring paddle boards are constructed for long distances. They are built to glide easily against the water. They are mostly wide and adequately stable for beginners. 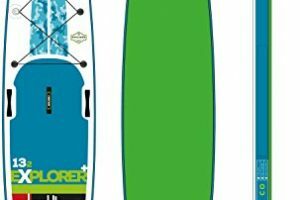 If you want to take a long tour on the water, then choose this type of board. Racing paddle boards are constructed for flat-water racing and open-ocean contests. They are longer and narrower in shape to optimize speed and long-glide efficiency. 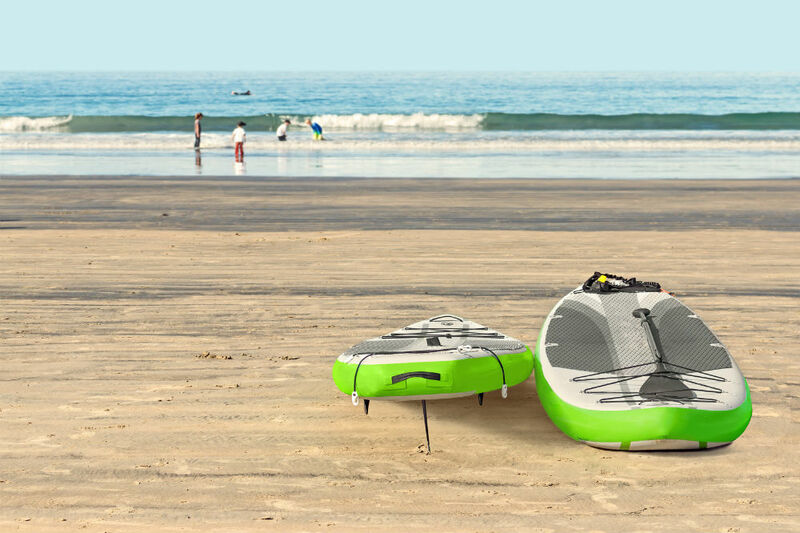 They are suitable for advanced paddlers and those who want a challenge on the waters. 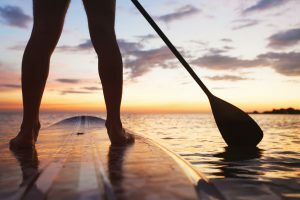 There are two classes of paddle boards that you can choose in terms of material construction. One is the hard paddle board while the other is an inflatable paddle board. These boards are usually made of various materials, like fiberglass, hard plastics, and wood. Most of these boards have an air vent designed on the deck to help prevent the separation of the epoxy resin from the EPS foam material. As compared to inflatables, hard boards require no inflation when using them. You can directly use them on the water as you want. They are also stable against choppy conditions and give a great performance on speed and endurance. Inflatables are usually made of multi-layers of PVC material and reinforced with dropstitch technology. Interestingly, they appear rigid like a hard board when inflated at the desire psi rate. In comparison to hard boards, inflatables are lighter and more portable. They need little space for storage as you can roll them up in a bag. They cost less than hard boards as well. For example, you have a weight of 150 kilograms and you are still a beginner. The computation for your required volume is: 150 x 2 = 300 liters. 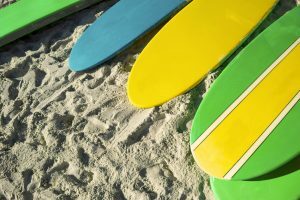 Moving your paddle board to the beach may be hard since most of them are large and heavy. 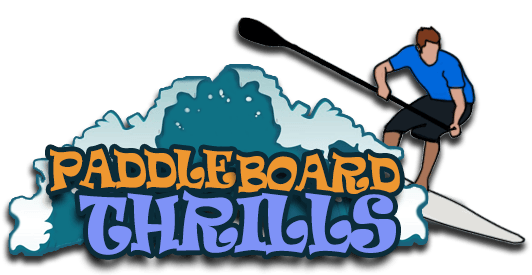 If you have an inflatable paddle board, transporting it would be easy, but how about if you have a hard board? 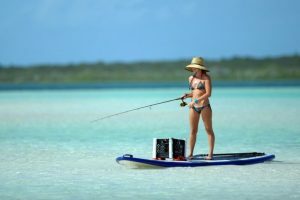 Here are the ways you can transport your paddle board with ease. If you are at the beach and want to carry the paddle board to the water, just lift the board over your head and slowly slip it down onto your shoulder. Do this if your board is light and you are strong enough to do this. 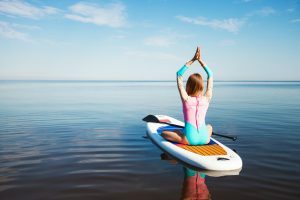 Most paddle boards have carry handles designed on the center so that you easily grab it when transporting it. Look for this feature so that you can easily hold the carry handle for transport. If you need to travel from home to the beach, getting there could be a little problematic. Since boards are large, you can strap it on the vehicle using a car rack. If you don’t have a car rack, you can put the board on the roof of your vehicle and strap it down securely.